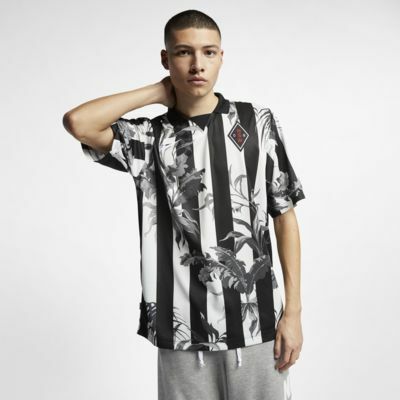 Classic stripes blend with a unique palm print in the Nike Sportswear NSW Top. Made with a loose fit and lightweight fabric that mimics a soccer jersey, it has a V-stitch and a polo collar for an iconic look. SOCCER STYLE WITH A LOOSE FIT. Double-knit mesh fabric is breathable with a soccer-jersey feel. 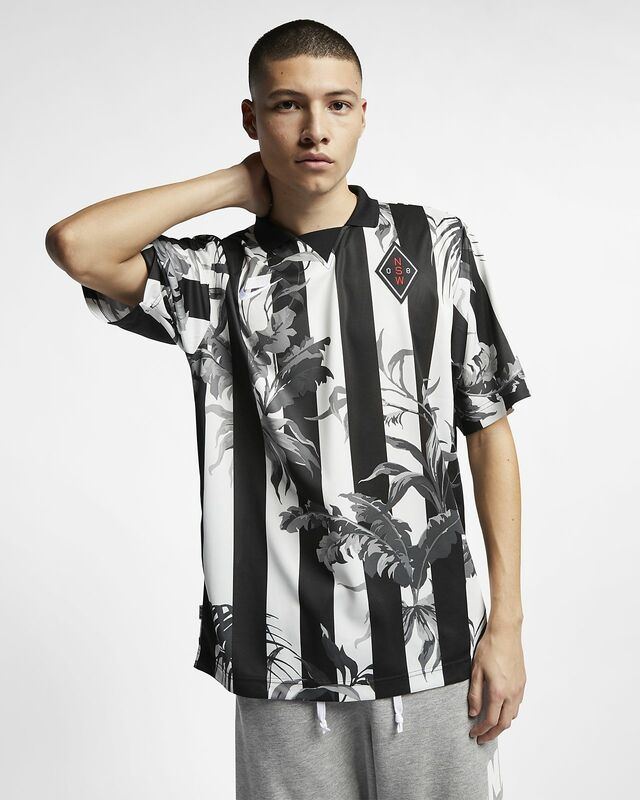 Classic soccer stripes blend with a palm tree print. Ribbed polo collar and a V-stitch create an iconic, soccer-inspired look. Embroidered crest at the chest is inspired by the original NSW graphic developed in 2008. Fabric: Body: 100% recycled polyester. Rib: 100% polyester.